Besides watches made by fellow Dutch citizen Christiaan van der Klaauw, we now also have watches from another Dutch company called Van der Gang Watches. 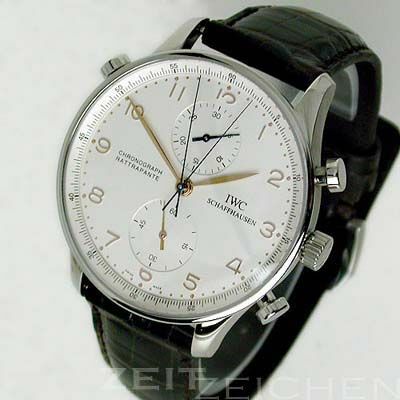 Their main model looks (to me) a lot like the IWC Portugieser Chronograph, I could be insulting them by writing this, but even the price is about the same. 🙂 If I had to design a watch for my brand new company, I wouldn’t design a watch that comes so close to a true classic by another brand and sell it within the same pricelevel. I would go IWC Portugieser for that kind of money within a blink of the eye. Anyway, pay them a visit by clicking here, maybe you’ll think otherwise. If so, let me know by leaving a comment here.